Child psychiatrists or unicorns, which one is harder to find? When the local mental health clinic abruptly closed last September, Cheryl knew she would have a tough time finding a new psychiatrist to treat her son. Her 15 year old son is complicated, to start with. He has several diagnoses, has uncommon reactions to medications and has had frequent ups and downs. Shortly after she began searching, Cheryl realized the truth: child psychiatrists with openings are nearly impossible to find. The clinic closed with no warning and Cheryl didn’t have time to get a referral, make a plan or even grab her son’s records. She scrambled just to stay afloat. She called every clinic and practice that her insurance covered. Then she called the ones it didn’t cover. She googled, she pored over lists and once, upon finding a number for the old psychiatrist, called it only to find it was the doctor’s home number. That didn’t work either. The old psychiatrist didn’t have a private practice and couldn’t prescribe through the now-closed clinic’s system any more. It’s more than 6 months later and Cheryl is still looking for a psychiatrist. Her son’s pediatrician has been reluctantly prescribing the same medications he was on last September when the clinic closed. If anything changes – a new reaction, a new crisis – the pediatrician doesn’t think he has the expertise that Cheryl’s son needs. 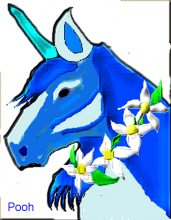 For Cheryl and many other parents, child psychiatrists are scarcer than unicorns. In popular culture unicorns are making a small comeback, appearing on t-shirts, in movies and songs. In the real world they remain a myth. The term unicorn has come to mean “any fabulous beast which many desire to find and possess, but which proves to be enormously elusive.” You see the parallel to child psychiatrists, right? The statistics back Cheryl’s experience up. In 2014, a study published in the American Psychiatric Association journal Psychiatric Services showed that the average waiting time in major U.S. metropolitan areas to see a child psychiatrist was 25 days for a first visit. Investigators for the study tried to get an appointment with 360 outpatient psychiatrists in Boston, Houston or Chicago and found that after two calls, despite having insurance or saying they would be willing to pay out of pocket, appointments were nailed down with only about 25 percent of the doctors. According to the American Academy of Child and Adolescent Psychiatry, there are approximately 8,300 practicing child and adolescent psychiatrists in the United States — and over 15 million youths in need of one. Besides the scarcity, there are other barriers. Some psychiatrists aren’t taking new patients. Others are leaving the field to pursue other interests. Many others don’t take insurance of any kind whatsoever. One mother called me several years ago to tell me she was trying to find a child psychiatrist for her teenage son. She got a solid referral and was filled with hope. When she called the doctor’s office she was told that he worked off a retainer system similar to an attorney. You paid several thousand dollars up front and he billed against it. When that was gone, you negotiated the method to pay once again. She was shocked and called to ask if this was standard practice. When child psychiatrists work at clinics, hospitals and medical groups, their services are available to anyone who has insurance accepted by that group, which often includes most health plans. But many clinics have a policy in place which creates an additional obstacle. Only children and teens who receive outpatient therapy at that clinic or medical group can access the services of the psychiatrist. The thinking is that this will ensure that there is more coordination between the therapist and psychiatrist. While some parents like this model, others report that the coordination simply doesn’t happen. And for children and teens who get therapy at an outside location, this policy limits the number of child psychiatrists available to help them. Most pediatric medical specialists, such as pediatric cardiologists or pediatric endocrinologists, get paid a higher rate by insurance companies because they have the extra training and education needed to work with children and teens. Unfortunately, this is not true for child psychiatrists. The get paid the same rate as general psychiatrists. Most child psychiatrists go to college for four years to get an undergraduate degree, followed by four years of medical school, then four years of general psychiatry and finally a two-year fellowship in child psychiatry. A college freshman aspiring to be a child psychiatrist is looking at 14 years of training. Their reimbursement doesn’t match that. Parents value psychiatrists because they are highly trained and have greater breadth of experience at the end of those 14 years. When a child has uncommon reactions to medications, like Cheryl’s son does, a child psychiatrist can parse out whether the new symptom is the illness getting worse or a medication side effect. They listen to parents talk about their child’s behavior and are great at figuring out how to prioritize this over that in the treatment plan. They ask smart questions and are great observers. With the passage of health care reform, our children get their yearly well child visits for free. Their annual flu shots are not only free but you can often get them right away at a local pharmacy, a “minute clinic” or other options in your community. None of this is true for mental health care by a psychiatrist. Costs are high, waits are long and the search is filled with dead ends. I think it might be easier for Cheryl to find a unicorn. If she does, maybe she can trade it for a child psychiatrist for her son. Finding the unicorn is easier. Lisa the blog is spot on. Add to that the young adult who has complex needs but do not need guardianship. Yet they are unable to navagate the system. As you know if you are a parent of someone 18+, you can’t make the call unless your child is standing by your side to give permission to speak. They get frustrated being tethered to you & you are as frustrated or more so. If you get a call when their not home, it can be back to square one. We have recently been notified that my son’s Psychiatrist will close his practice on May 1st. My son has seen him for the last 16 years. He is trying to help but I doubt we will find someone before he takes his shingle down. With help I found a new place, I’m relieved my search is over but the real work starts now. We build a relationship with our new therapist and med prescriber. It s more than 6 months later and Cheryl is still looking for a psychiatrist. Her son s pediatrician has been reluctantly prescribing the same medications he was on last September when the clinic closed. If anything changes a new reaction, a new crisis the pediatrician doesn t think he has the expertise that Cheryl s son needs. of a catastrophe on you enterprise.